Sautéed chicken breasts with a simple pan sauce is a great way to quickly get a tasty and elegant-looking dinner on the table midweek. Awhile ago, I made Sautéed Chicken with Pan Wine Sauce. 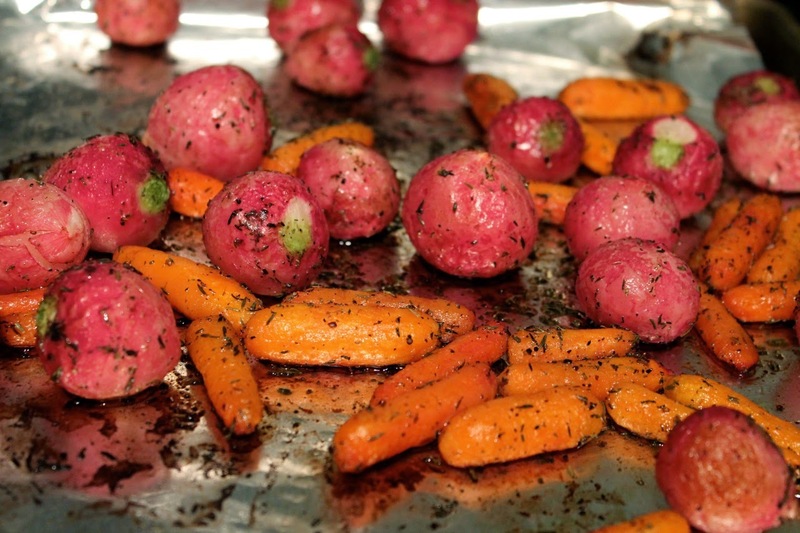 This is a similar preparation with the added interest of mushrooms and a foundation of roasted small root vegetables. Up until this recipe, I can't recall much experience with radishes besides sliced for salads. They're wonderful roasted though; their sharp flavor mellows out beautifully. 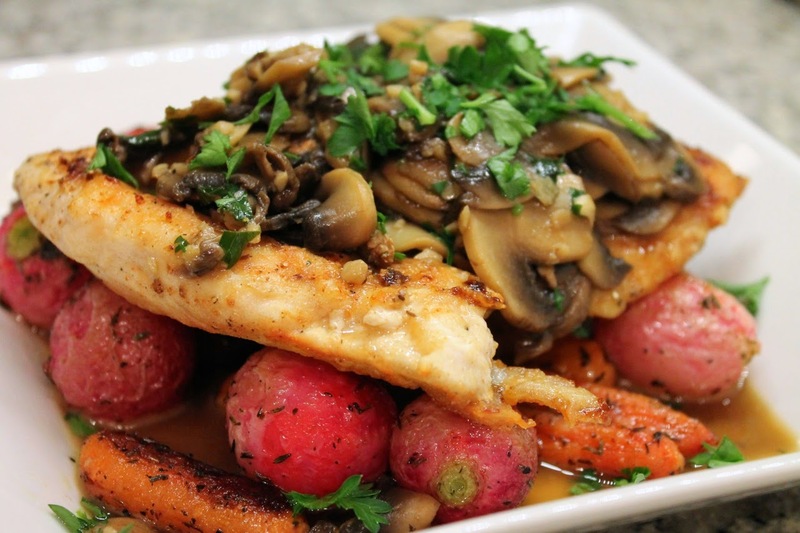 The simple recipe below for roasted radishes and baby-cut carrots complemented the chicken and mushrooms perfectly. 1. Heat olive oil and butter in a medium frying pan over medium heat. Pat chicken breasts dry with a paper towel. Spread the flour on a plate and dredge the chicken in the flour, tapping to remove excess. Transfer the floured chicken to the hot frying pan, season with salt and pepper and cook until no longer pink in the middle, about 10 minutes, flipping at the halfway point. 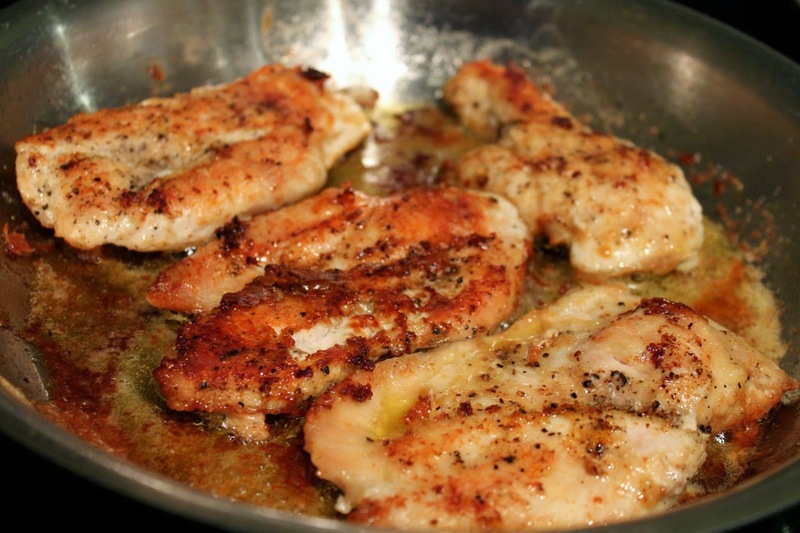 Remove chicken from pan; leave drippings. 2. 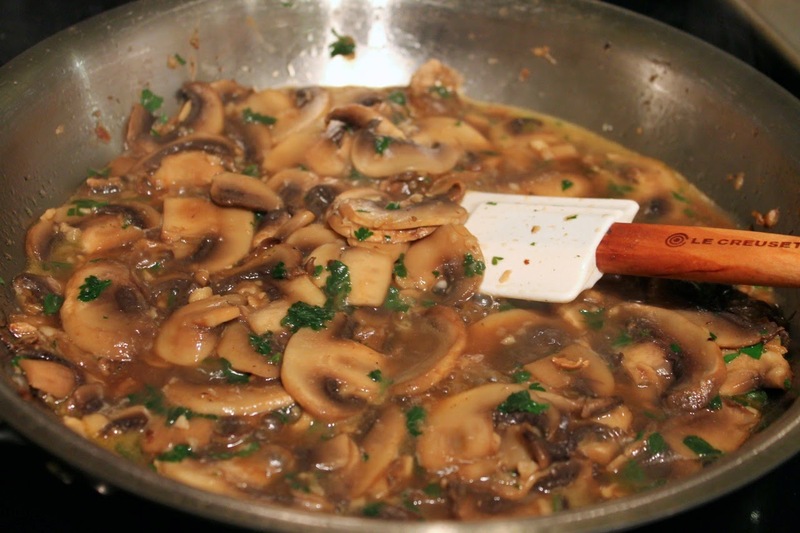 Add mushrooms to pan and sauté until softened and browned. 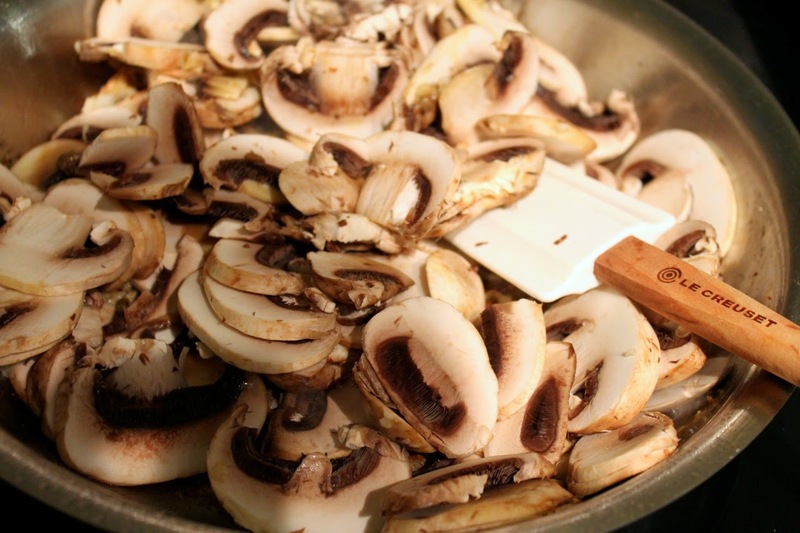 Add the white wine, stirring with a wooden spoon to scrape any remaining bits from the bottom of the pan. Add about half the parsley and cook until the wine has reduced by roughly half. 3. Serve chicken breasts over roasted vegetables topped with mushroom-wine sauce and a sprinkle of the remaining fresh parsley. Roast at 450 F for 25 to 30 minutes. This was a great springtime dish. The roasted radishes are pretty substantial; I wonder if they could be used as a subsitute for dishes that call for roasted potatoes?